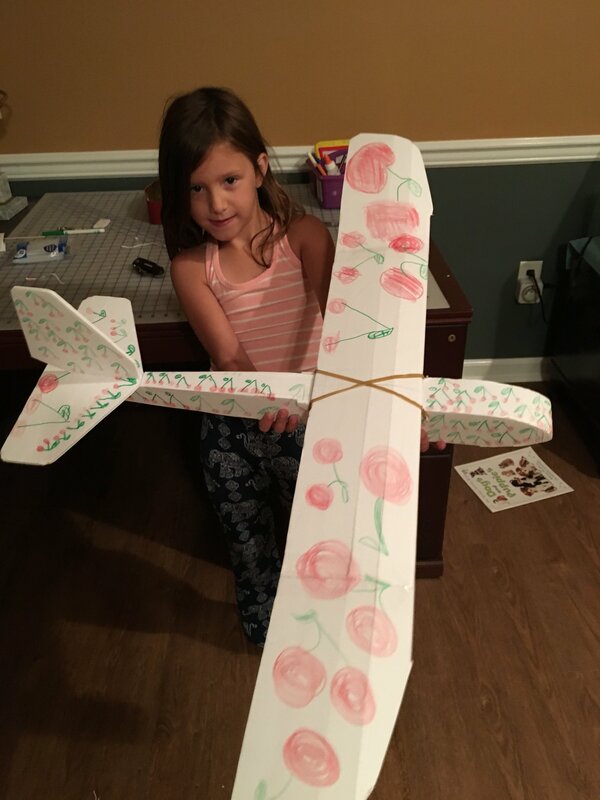 We finished our first build of a Tiny Trainer Glider. This one was designed by Kid Two with a Cherries theme. Kid One and Kid Two are currently mastering a variety of throwing styles in the basement. I have some lessons learned I’ll share after we build one for Kid One. If you want to give them a real fast launch then consider a bungee launcher! I was thinking about using a surf rod. Let you know if it works. Sweet. But a 20 metre length of shock cord can launch one regardless of rudder or moderate elevator errors. I was thinking about that. It would have to be perfectly balanced to launch with the rod.